You or a loved one has been in a motor vehicle wreck caused by the careless and senseless behavior of a drunk driver. All too often, the drunk driver walks away unscathed and you or your loved ones suffer from life altering injuries. Most people are aware of the potential criminal penalties for driving while intoxicated. With the suffering you and your family have endured, you may think the criminal penalty imposed on the drunk who collided with you was not nearly enough. Perhaps a plea bargain was reached with the prosecutor and the drunk driver failed to even serve one day in jail for the harm he caused. You may believe nothing more can be done to punish the other driver and prevent such senseless tragedies from occurring in the future. Fortunately, that is not true. If you have been injured by a drunk driver, you may be entitled to full and fair compensation for your injuries. That is not all you may be entitled to. In many circumstances, there is an additional remedy available to those who are injured by drunk drivers above and beyond compensation for their personal injuries. That remedy is called punitive or exemplary damages and serves in part to further punish the drunk driver for his conduct. Virginia law allows a personal injury claimant to seek punitive damages against a defendant whose conduct was “so willful and wanton as to show a conscious disregard for the rights of others.” In some circumstances, the outrageousness of the conduct of the drunk driver beyond mere intoxication, like driving for a mile on the opposite side of the highway at night with no headlights, can give rise to punitive damages. Virginia law also establishes a specific blood alcohol content threshold which will allow punitive damages without having to prove additional reckless behavior on the part of the drunk driver. Under Virginia Code § 8.01-44.5, punitive damages may be awarded in any case where a driver causes injury or death and (1) his blood alcohol content at the time of the collision was 0.15 or greater, (2) the driver knew that his ability to operate a vehicle was impaired, and (3) the driver’s intoxication was a proximate cause of the collision. A drunk driver cannot avoid the possibility of punitive damages by simply refusing to submit to a blood alcohol test upon arrest. The statute also allows punitive damages when the drunk driver unreasonably refused to submit to a blood alcohol test under the criminal standard. Virginia law recognizes the seriousness and consequences of drunk driving both to the injured party and to society at large and provides for monetary punishment against the intoxicated driver that operates independently of the criminal process. The maximum recovery for punitive damages in Virginia is $350,000, which is in addition to the compensation the victim is entitled to for his or her injuries. The purpose of these exemplary damages is not only to punish the wrongdoer, but also to serve as an example to him and others in the community that drinking and driving will not be tolerated. If you or a loved one has been involved in a motor vehicle accident caused by a drunk driver you may be entitled compensation for your injuries and punitive damages. You should speak to an attorney with experience handling DUI punitive damages cases. About the Author: Rob Reed is a personal injury trial attorney with the law firm of Allen & Allen in Richmond, VA. Mr. Reed’s practice is devoted exclusively to protecting the interests of seriously injured clients and their families in personal injury cases. 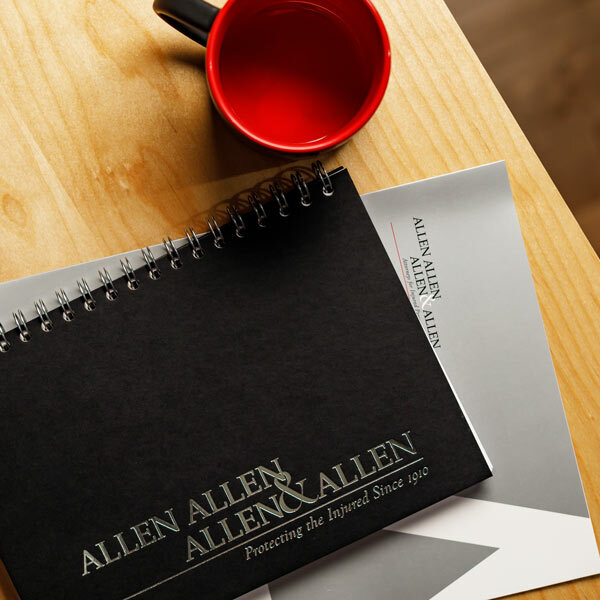 For more information about the criminal penalties, see Fredericksburg personal injury lawyer, Christopher J. Toepp’s article titled “Motor Vehicle Safety – Driving While Intoxicated in Virginia: A Bad Gamble That’s Not Worth It.” https://www.allenandallen.com/blog/driving-while-intoxicated-in-virginia.html. See Virginia Code § 8.01-44.5. See Virginia Code § 8.01-38.1. What Happens When You File a Lawsuit?